Devotional Shrine to the Holy Family: The Hidden Years! The area in the Northwest corner of the Nave of church is often referred to generally, but not exclusively as "The Holy Family Shrine". We will build on the hidden life of Jesus and His parents through the Liturgical year by featuring a series of artworks that display various famous artists conceptions of those hidden years from the infancy to Jesus as a young man at the death of St. Joseph for November. They will change every month or two. For those with a special devotion to the Divine Child, a statue of the "Divino Niño" will be close when older views of Jesus are featured in the paintings. 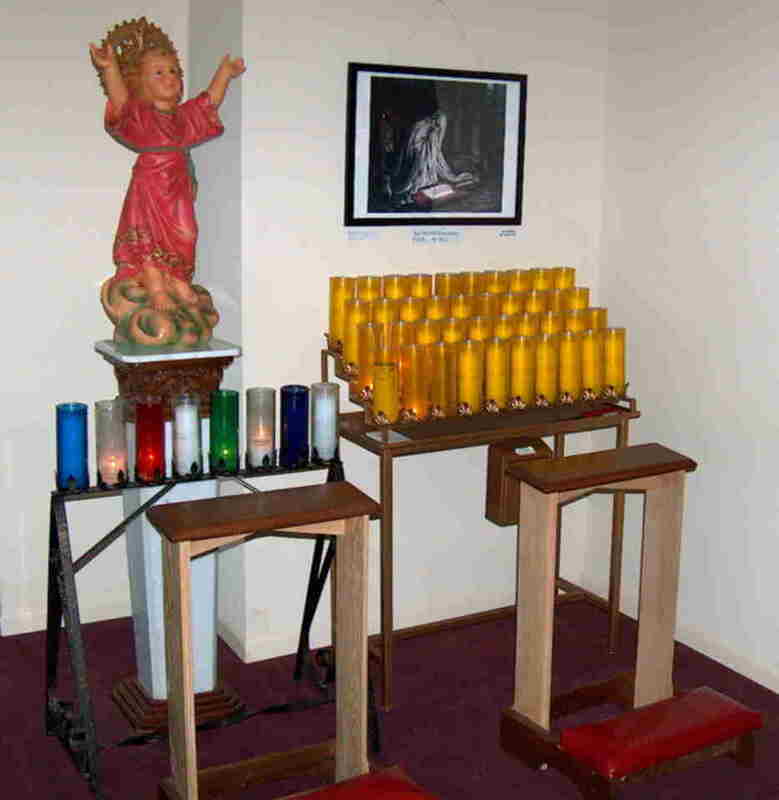 Votive candles and kneelers will be part of the area to facilitate our prayers and meditations. Some background on Votive candles. In Judaism, a perpetual light was kept burning in the Temple and the synagogues not only to ensure the ability to light other candles or oil lamps in the evening, but also to show the presence of God, cf. Ex. 27:20-21 and Lv. 24:2-4. This practice probably influenced our own practices of having a lit candle near the Tabernacle to indicate the presence of and to show respect for the Blessed Sacrament.